Prabhas and Rana Daggubati can be seen having a good time in his throwback pic from the sets of Baahubali. 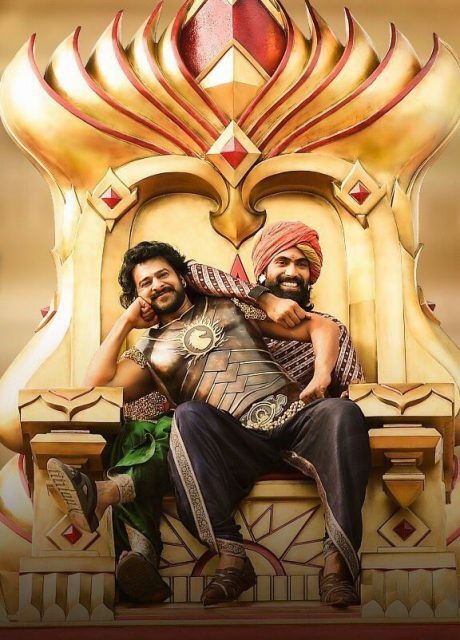 Popular Telugu actor Rana Daggubati just took to Instagram and shared a throwback pic from the sets of ‘Baahubali’ with his fans. In it, he can be seen with his fellow superstar Prabhas. And, needless to say, the two seem to be enjoying each other’s company a lot. While Prabhas looks dashing in his ‘Baahubali’ avatar, Rana can be seen in his ‘Bhallaldev’ getup. As expected, the chemistry between the two is quite crackling and gives us major friendship goals. In case you did not know, Rana is good friends with Prabhas and likes him a lot. Sometime ago, during an exclusive chat with Pinkvilla South, he had said that T-town’s resident ‘Rebel’ is the sweetest individual he has ever come across. “Prabhas is the most sweetest and simplest person you will ever meet in life. He is not someone who would have the biggest of aspirations, big things and much hype. He is somebody who just loves movies and he will do anything for movies,” he had added. On a related note, Prabhas and Rana are quite busy these days. Rana was last seen in ‘Nene Raju Nene Mantri’ which did well at the box office and received rave reviews along the way. He has also been approached for the Telugu remake of ‘Vikram Vedha’. However, it is not clear whether he will be doing it. As far as Prabhas is concerned, he is currently shooting for ‘Saaho’. It is an action-thriller and is being directed by Sujeeth.